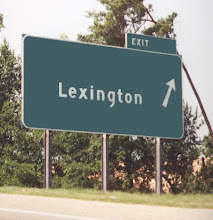 Many Neighborhoods, One Zip Code... Just Lexington! JustLexington.com is dedicated to the people, neighborhoods, businesses, and civic organizations within zip code 29072. Thanks to the good folks at Google, as of last week their "Street View" map now includes many streets right here in Lexington SC 29072! Natasha Derrick of The State newspaper wrote a front page article just yesterday titled "Google gets personal: Columbia streets available". JustLexington.com is already utilizing Google's latest feature by creating Neighborhood Street View Virtual Tours. Each neighborhood page that has this Street View capability will eventually be updated to show it's street view starting at the entrance to the neighborhood. You will be able to virtually tour a neighborhood by navigating through the streets, rotating your view, and even zooming in. Stay tuned as every neighborhood page will be updated with it's own Street View Virtual Tour! According to Realtor.com, there are 769 single family homes, condos, and townhomes available for sale today in Lexington, SC 29072. They range from $85,000 to $3,890,000. The median priced home this month is an existing home in Carriage Hill Lakes for $243,900. It is a two story home with 3 bedrooms, 3 baths, and approximately 2,648 square feet. Compared to last month's 772 homes available, the 769 available today shows very little change. These numbers only reflect the homes for sale by realtor - homes for sale by owner in Lexington are not included. Do you live in zip code 29072? Poll question: Do you live in zip code 29072? 22% said "no, but I'm planning to move to 29072"
8% said "no, I live some where else in SC"
7% said "no, but I used to live in 29072"
5% said "no, I live outside of SC"
1% said "no, but I work in 29072"
If you haven't answered the poll question, do so now!